You will be surprised that a Rice recipe this simple has so much flavor. 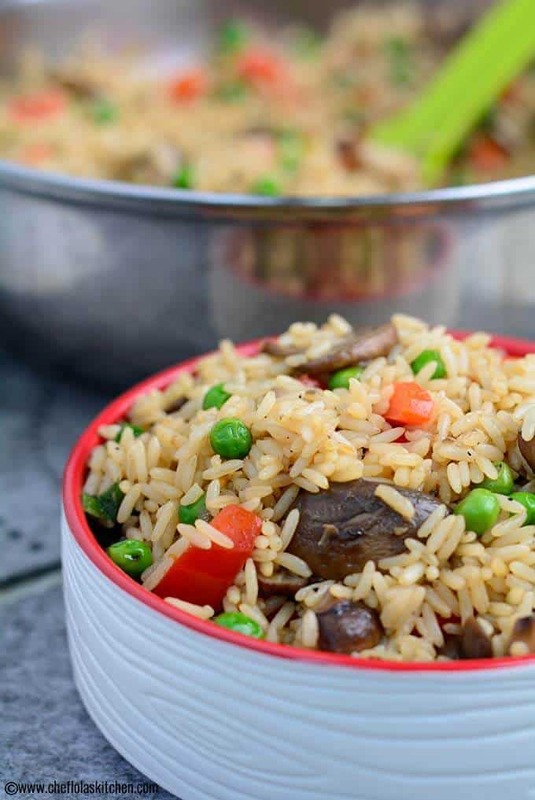 I love that simple Mushrooms could bring such richness to an otherwise mild-tasting Rice. It’s one dish where leftovers are never a problem. And the fact that it takes a few minutes to put all these together as long as you have your cooked Rice makes it great for weeknight dinner. 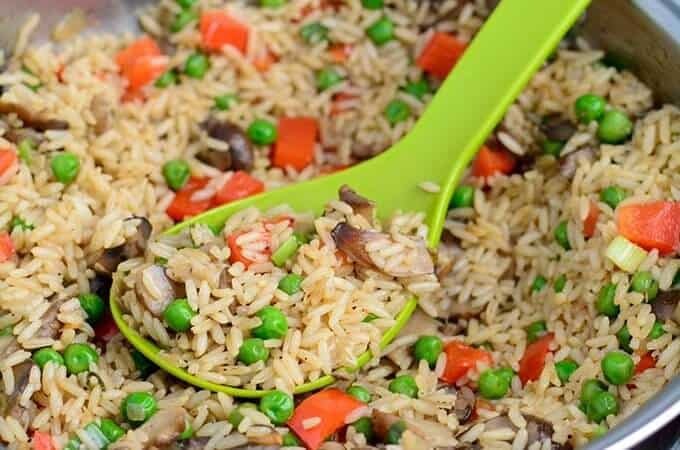 The green peas and bell peppers add a sparkling brightness to the dish and they compliment 9the underlying earthy flavor of the Mushroom. 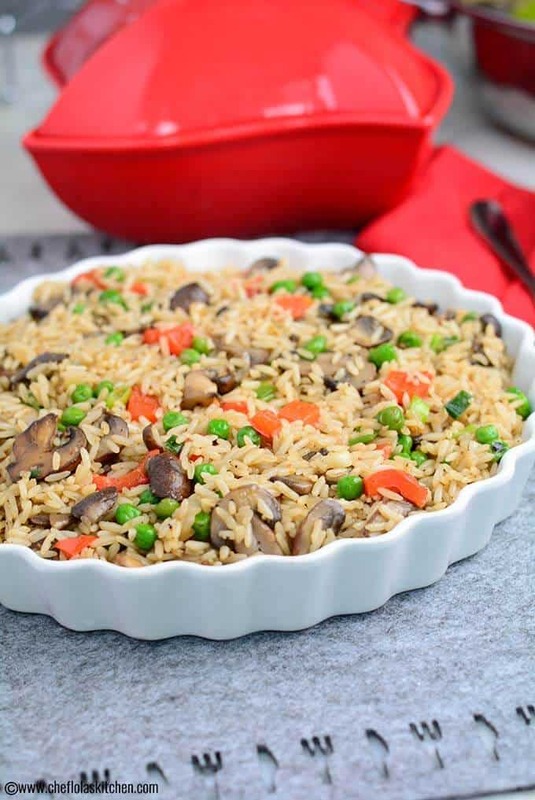 This mushroom rice is one of those recipes that fit so beautifully into my hectic life. It’s my way of giving my family an exotic meal without the hassle of overstaying in the kitchen and it’s one of those side dishes that go with everything. 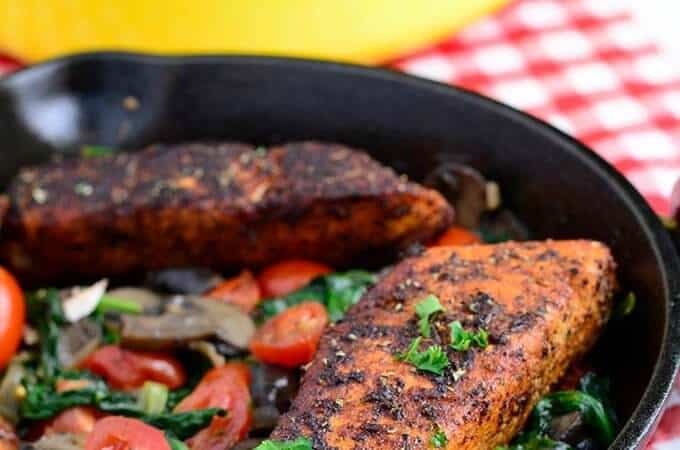 You can eat it on its own or try it with this easy Blackened Salmon or this grilled Tilapia Fish and if you want to go meaty, you can try this Jamaican Jerk Chicken or this Peri peri chicken. All of these will be a good fit. It’s okay, you can thank me later! Which Mushroom is best to use for making Mushroom Rice? 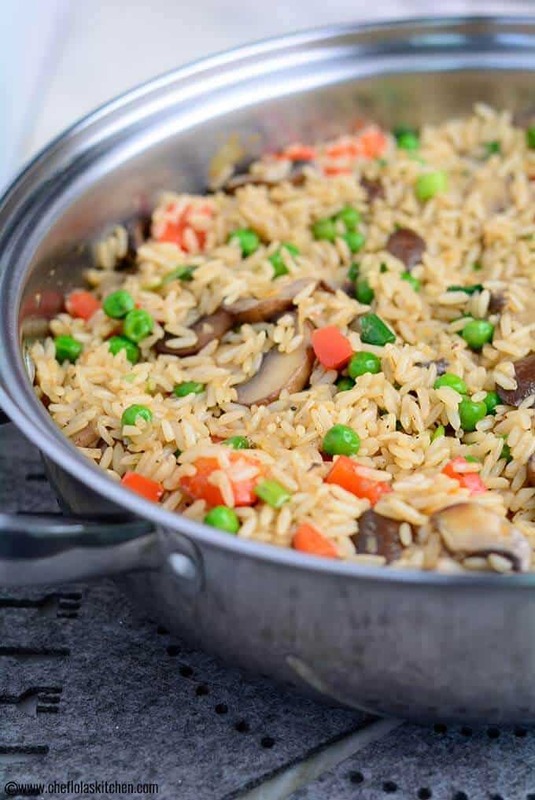 I used the baby Bella Mushroom and I loved the earthy full-bodied flavor of the finished dish. However, you can use any variety of Mushroom you have. It will work just fine. While I prefer to use fresh Mushrooms, canned mushrooms can also be used. The simple answer is yes! Honestly, I can go on and on about healthy Mushrooms are to our health. From providing the body with abundant vitamin d to helping the body fight cancer and so much more. You might want to read this article here to learn more about the health benefits of Mushrooms. The star of this recipe is the mushroom, so if you decide to tweak or substitute anything in this recipe, please don’t remove the mushrooms. For that exotic, floral flavor I used one minced habanero pepper. If you are like me, you may want to remove the seeds of the pepper to reduce the heat. I also like to use minced Jalapenos if I don’t have Habaneros, I also like the flavor it gives. I used the white long grain parboiled Rice in this recipe, however, Brown Rice or Basmati Rice can also be used. 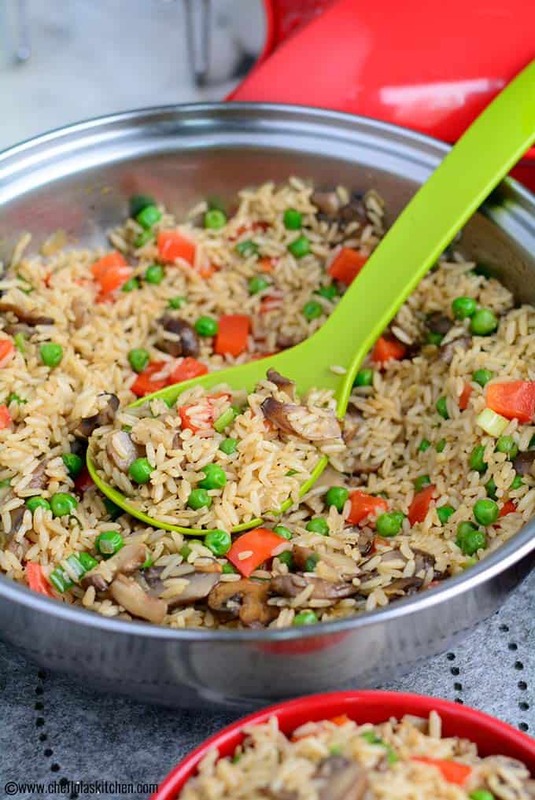 You can use freshly cooked rice or leftover rice for making Mushroom Rice. However, it is advisable not to use an overcooked Rice, otherwise, you will end up with mushy rice. As you can see from the picture above, the rice grains are well separated. You can increase or reduce the heat level of this meal based on your heat tolerance level. Add bell pepper, green peas and season with salt and black pepper Fry them, over medium-high heat, until the peppers begin to soften. Put the rice in. Toss for a few minutes until the rice is heated through. Season with soy sauce and pepper. Mix until well combined. Stir in with green onions. For that exotic, floral flavor I used one minced habanero pepper. If you are like me, you may want to remove the seeds of the pepper to reduce the heat. I also like to use minced Jalapenos if I don’t have Habaneros. I also like the flavor it gives. 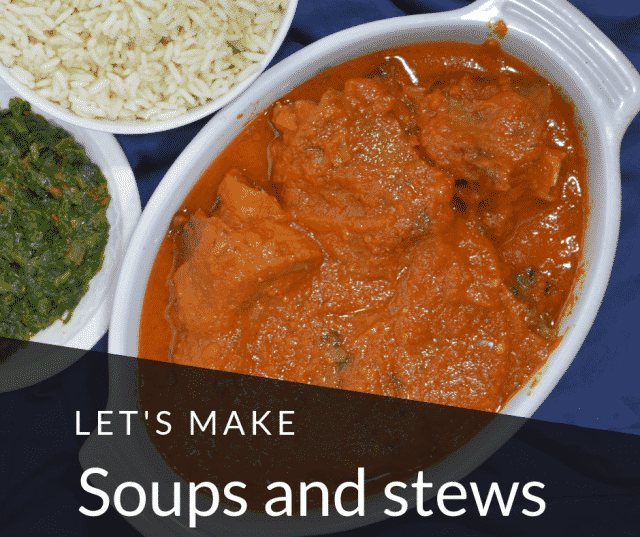 I used white rice in this recipe, however, Brown Rice can also be used. 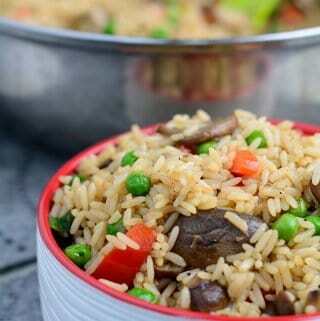 **This mushroom Rice is very easy to prepare, and can easily be doubled to serve a large group. Thank you Eezah … I will be happy to know how it turns out for you. This looks fantastic! 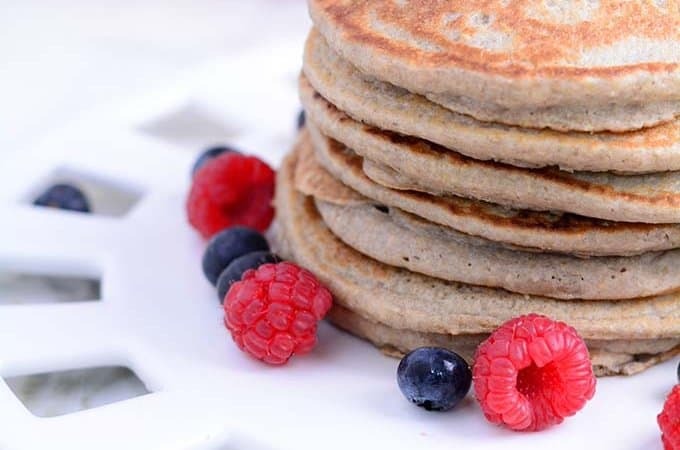 So flavorful and easy to make. What a hearty and delicious side dish. I love all the veggies in it too. Thanks, Dannii. Yes, the veggies make the dish come alive! I’m always in a rut when it comes to side dishes to add to dinner. 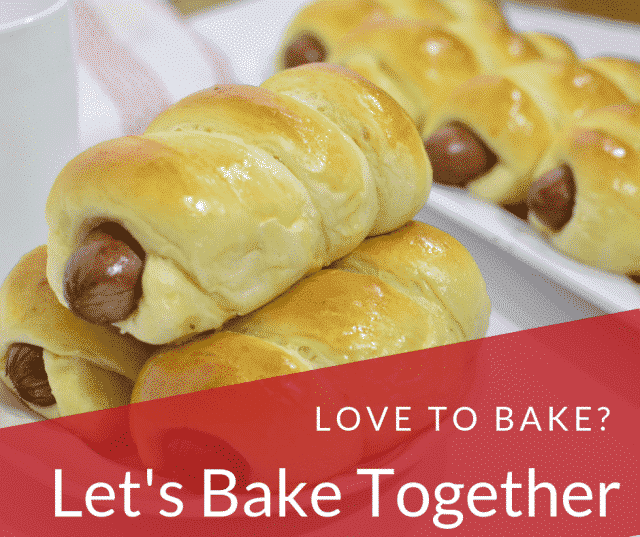 Thanks for this wonderful recipe. You are welcome, Jen. I’m sure you will enjoy this one. Yes, Julia, it’s very flavorful. 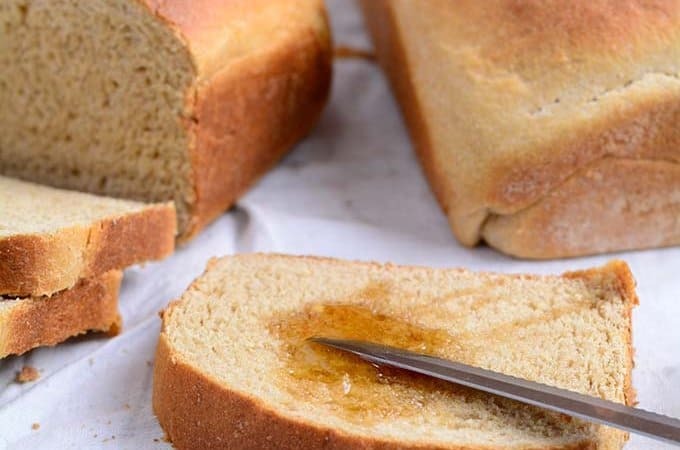 Great staple recipe, will be using this one a lot! I’m glad you like it, Noelle, thanks for stopping by.